Learn how to make a tasty Italian entrée with a healthy twist! 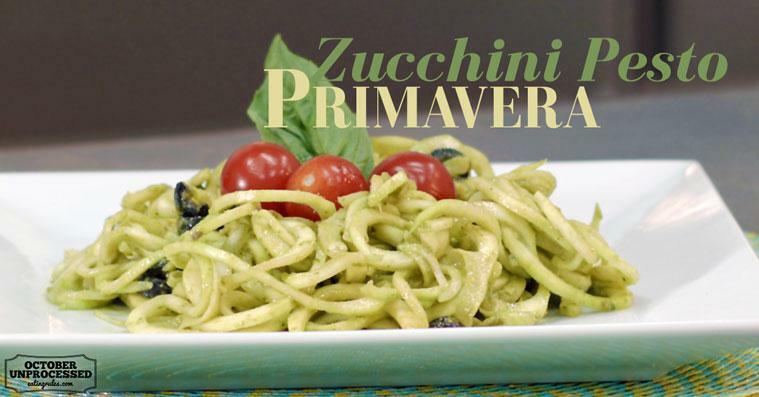 This raw, vegan, gluten-free Zucchini Pasta Pesto Primavera is a hearty meal with none of the guilt. It’s fun, healthy, easy, delicious, and of course unprocessed. Enjoy! This pasta "with a twist" is raw, vegan, and gluten-free. Blend all ingredients, except for the zucchini, in a food processor until smooth. Slice the zucchini into fettuccine noodles with a vegetable peeler or mandolin. If you have a spiral vegetable cutter, it will make beautiful spaghetti noodles! 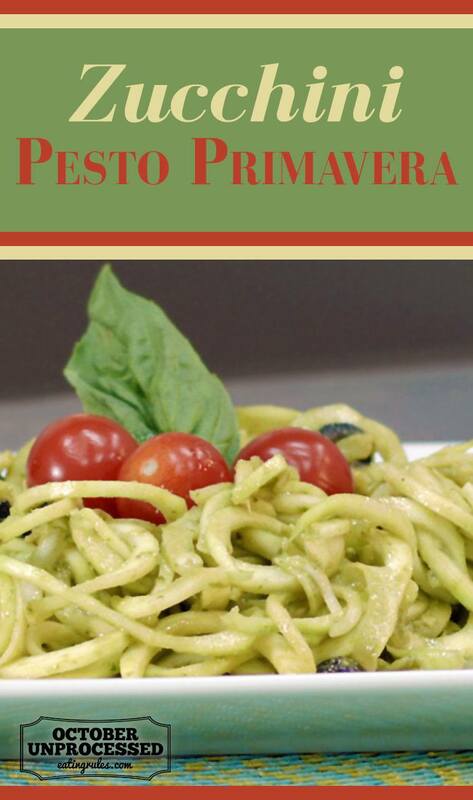 Scoop zucchini noodles into bowls and top with pesto sauce. Add in vegetables of choice to add flavor, color, and texture such as: olives, sun-dried tomatoes, mushrooms, artichoke, and colorful peppers. Carolyn Scott-Hamilton is the creator and host of The Healthy Voyager web series, site, and overall brand. An award-winning healthy, special diet and green living and travel expert, holistic nutritionist, plant based vegan chef, best-selling cookbook author, media spokesperson, sought after speaker, consultant and television personality, she is a respected figure in the world of healthy lifestyle and travel as well as special diet cooking and nutrition. The Healthy Voyager aims to help people live well, one veggie at a time! Follow Carolyn on Facebook, Instagram, and Twitter.